Milwaukee Tool launched three new landscape maintenance tools: the M18 Fuel String Trimmer, M18 Fuel Blower and M18 Fuel Hedge Trimmer. These new tools are fully compatible with more than 125 solutions on the M18 System. The M18 Fuel String Trimmer has the power to clear thick brush, reaches full throttle in under one second and provides up to one hour of run-time per charge, the company said. In addition to a 16-inch cutting swath the trimmer features a single piece drive shaft, a full sized head and a metal reinforced bump knob. Featuring a Powerstate brushless motor and a Redlithium high-demand 9.0 battery, the M18 Fuel Blower has the power to clear from 15 feet. Additionally, the blower features a variable speed trigger for increased control. 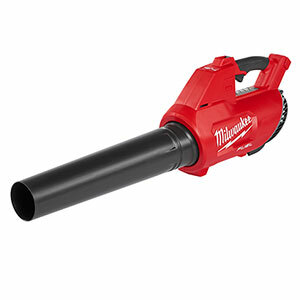 option for situations that require less noise, such as maintenance in the early morning or near occupied buildings, Milwaukee Tool said. The M18 Fuel Hedge Trimmer has the power to cut 3/4-inch branches and provides up to two hours of runtime per charge. 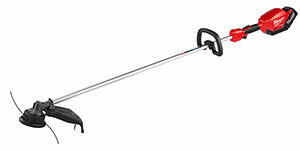 Additionally, with its 24-inch blade, the trimmer cuts up to 30 percent faster . The three models will be available in January 2017.